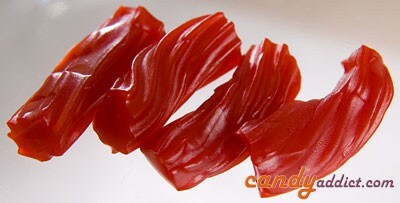 Darrell Lea Strawberry Licorice: I know not everyone likes licorice, but just look at this yummy lusciousness. While Australia’s Darrell Lea Strawberry Licorice isn’t a Trader Joe’s brand candy, TJ was the only local place that carried it where I used to live. The good news is that I can get this online, but the bad news is it costs about 3x more than it did at TJ. This licorice is soft and chewy, and it’s not waxy at all. It does stick to your teeth a wee bit, but it’s so good I don’t care. It has a sweet, light strawberry flavor and none of that plastic flavor you get with some licorice. It’s also ridiculously addictive – the more I eat, the more I want to eat. I ate my very last pieces as I wrote this and I’m already going through withdrawal. 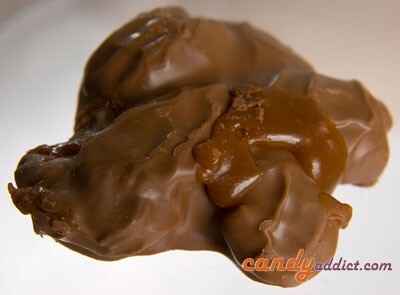 Dark Chocolate Covered Pretzel Bites: I’m not sure if the Trader Joe’s dark chocolate pretzel bites are supposed to count as a snack or a candy, but to me they’re a candy. I love that they are bite sized – something about eating small bits of candy ups the fun factor for me. Even though these are just a bit bigger than a peanut M&M, they manage to pack a lot of flavor into such a small package. The dark chocolate coating is made of good dark chocolate – rich, earthy, and strong. The pretzels are crunchy and they have salt! So you get sweet and salty, crunchy and creamy, all in one wee bite. And bonus: they sprinkle round sugar beads on top so you get a nonpareil effect. Double bonus: sometimes several pretzel balls stick together so you get to eat 2 or 3 at a time. To die for! I’m already missing Trader Joe’s. A lot. While I get to have new candy adventures in my new city, I still long for my TJ faves. Thank heavens for care packages! Target now carries the Darrell Lea Soft Eating Licorice in strawberry and black varieties. The strawberry is awesome. I’m not sure how it compares to the twist variety. I’ll have to look for those at TJ. @ Josh: Thanks for the heads up about Target! I’ll be checking that out soon. @Sorina: Welcome to Candy Addict! Thanks for your kind words – I’m glad you’re enjoying yourself. This is a fun community and I enjoy reading what everyone else writes as much as I enjoy writing. I miss Trader Joe’s too! I especially like their truffles. I shamed myself today by eating an entire tub of the mini peanut butter cups from TJs.